Good morning everyone! 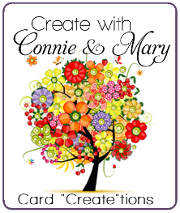 It's time for another great Create with Connie and Mary Thursday challenge! 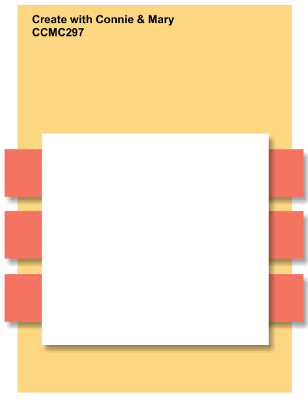 This week we have a sketch! Take a look! I had another card planned for this sketch but didn't like it so I started over and this is what evolved! I will share my other card - maybe - if I'm brave enough - lol! I really like the way this one came out! I pulled out a set that I hadn't used in a while but still really love! Love the spring-like look of this card! Just makes me happy!! The Create with Connie and Mary Card "Create"tions PREVIEW starts March 25 and the session runs from March 30 thru April 19! Sign up for only $19.95!! I love how this came out also! It is so fresh and clean while also conveying a feeling of tenderness and thoughtfulness. It is great to pull out earlier favorites to create new designs with, isn't it! Another beauty from Deb! Great job with the sketch Deb. The yellow flowers add so much to this whole card, so pretty! Oh so pretty! One of my favorite sets - love the punched flowers you added. I love this! So soft and pretty! 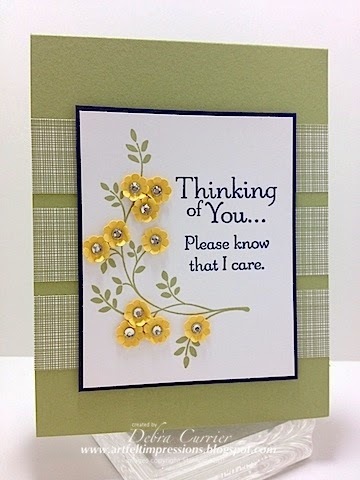 You could go to this card for any occasion, but I love the sympathy, thinking of you theme of this! Into my favorites this goes! This card is so delicate and pretty - love the DSP stripes too. This would make a beautiful sympathy card. I'm glad that I'm not the only one who makes another card when I'm not happy with the one I've done! I love the little punched flowers on this image...really makes it dimensional and SO pretty! Great job with the sketch! This is just simply beautiful. Love the bunches of dainty little flowers! What a beautiful card! It is simply sweet and elegant. The flowers really make the card fantastic.